The journey from concrete to abstract thinking continues to flourish. Middle School at Bank Street includes grades 1 through 4. 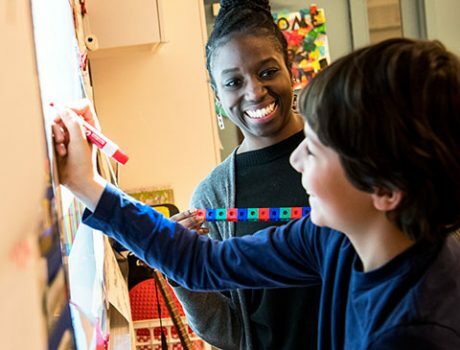 The child-centered instruction seen in the Lower School curriculum becomes more structured in the Middle School and students develop a foundation for academic success. Direct learning experiences are supplemented by less immediate sources of knowledge—students learn to gather information from books, museums, pictures, documents, and computer searches. At the core of the Middle School curriculum is social studies and the study of people. Students make powerful connections between events from distant places and times and their own experiences. Projects at each grade level draw on and build each child’s developing skills as a reader and writer. Interdisciplinary activities enrich learning by integrating arts, math, and science. The focus on fostering the social and emotional lives of children continues in Middle School with an emphasis on community. 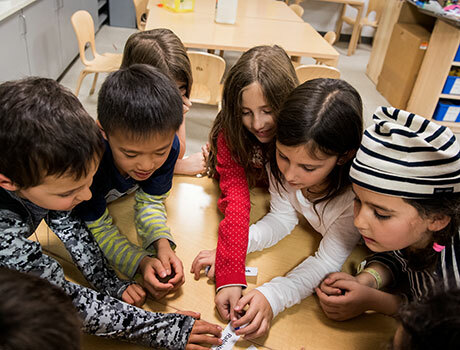 Children explore connections with their peers, learn to solve problems together, and deepen their understanding of themselves. 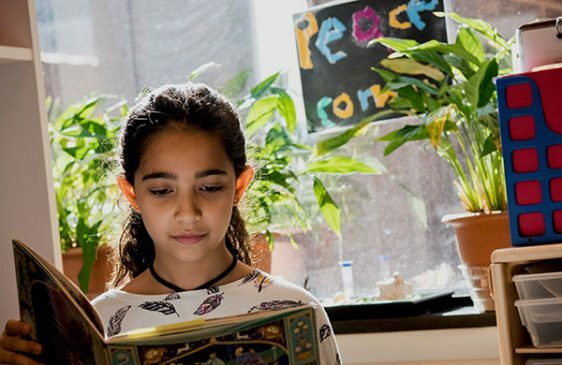 From grade 1 through 8, students participate in the school’s Racial Justice and Advocacy curriculum, which focuses on developing a positive racial identity and prepares students to be advocates for social justice. 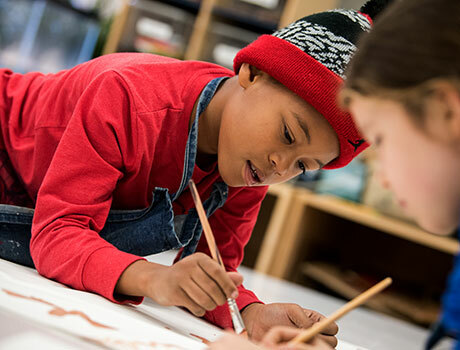 Integrated Art takes place once a week in each Middle School classroom and offers students the opportunity to use art materials to enhance their understanding of concepts in social studies. 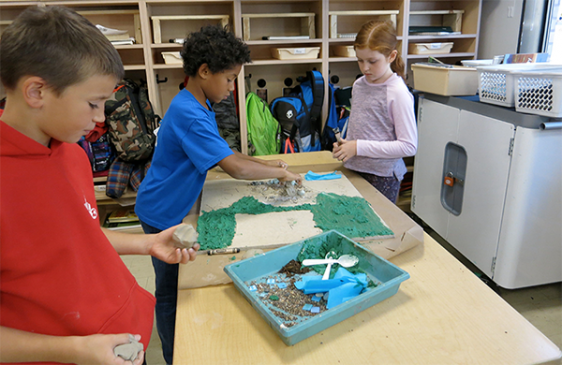 Allowing students the time and space to use their imagination motivates them to construct meaning and expand their interest in the world around them and the people that live in it. Research indicates that mindfulness develops the brain’s ability to produce new neurons and make neural connections, thereby increasing the area of the brain related to an individual’s capacity to manage thoughts, emotions, and actions. 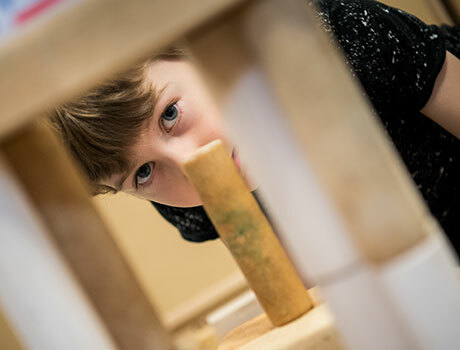 When children respond in thoughtful ways, they enable themselves to experience better decision making and create space for intentional learning.